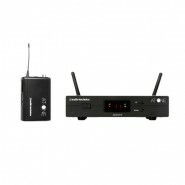 THE AT-ONE ENTRY LEVEL UHF SYSTEM, THE BEST EQUIPPED ON THE MARKET AT-One, Audio-Technica’s entry level UHF wireless system. 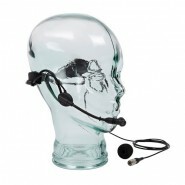 With..
Versatile head worn condenser microphone Sweat resistant, robust microphone made from hard wearing, durable material Ergo..
Headset Microphone for WS 100 Series, WS 1000 Series, WS 1616 Series and WS ECO Series Uni-direc..
HM-66-SJ The HM-66 has been designed primarily with the sports and aerobics industry in mind and is therefore built t..
For the Trantec HM-33-SJ ..
Offering highly intelligible individual voice reproduction, the comfortable, lightweight PRO8HEx is ideal for guitarists, keyboard..
A neckband headset microphone for use with VHF and UHF beltpack transmitters. Ideal for performers and fitness instructors. 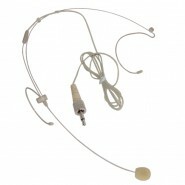 ..
Neckband microphone and beltpack transmitter for use with the QR-series portable PA units. 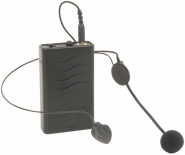 Hands-free use for QRPA and ..
Neckband microphone and beltpack transmitter for use with the QR-series portable PA units. 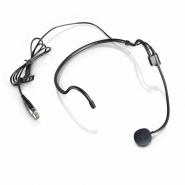 Hands-free use for QRPA and DT50 ..
HM-33-SJ The HM-33 has been designed primarily for the active professional who needs hands-free operation. Suitable f.. 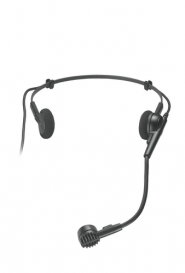 Product Information This professional discreet super lightweight headset microphone is flesh coloured and features a sensi..